Webinar Questions? We Got You Covered! 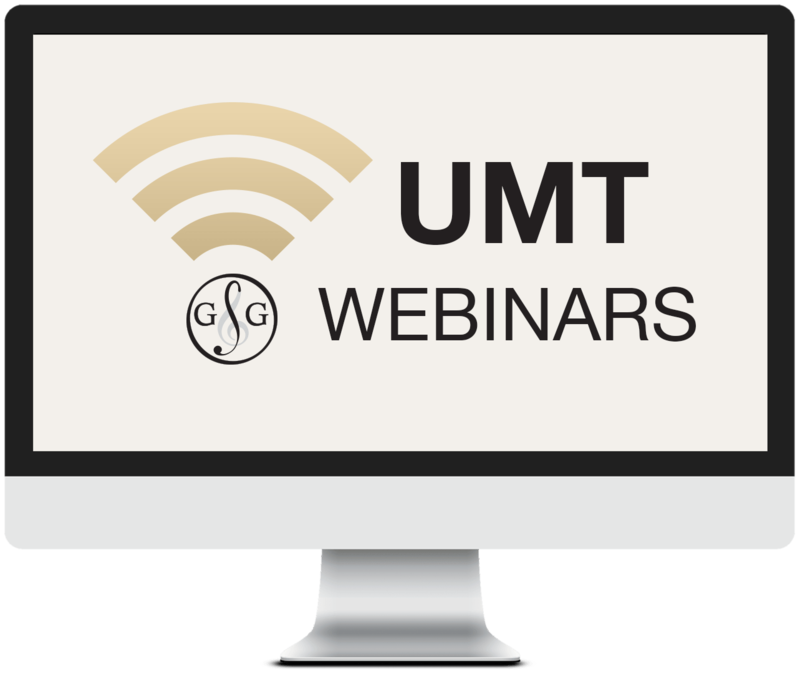 We have created the Free UMT Webinars especially for you. As music teachers, we're passionate about NEPD - "Never Ending Professional Development" and we are happy to provide you with these time saving resources. In our 10 Part - RCM Theory Syllabus and Ultimate Music Theory ROCKS Webinar Series, we will cover the new theory concepts in the 2016 RCM Theory Syllabus. Webinar Questions: #1 - Will the Ultimate Music Theory Workbooks be changing to match the new RCM Theory Syllabus? Answer: No. The Ultimate Music Theory Series is a proven method of learning designed to teach students (of all learning styles) the foundations of theory. The Ultimate Music Theory Workbooks can be used with any method of practical learning. They can also be used when learning any instrument, including voice, guitar, violin, etc. However, different "schools of music" offer their own set of required knowledge - practical, theory, ear training, sight reading and technical requirements that meet their levels or standards. These schools of music (like the Royal Conservatory of Music, Conservatory Canada, ABRSM) have their own theory syllabus. At Ultimate Music Theory, we are passionate about providing Teachers with the materials that they will need, no matter what School of Music or Music Standard you use. To do this, we are creating the UMT Supplemental Workbook and Answer Book Series. We are currently writing materials to provide Teachers with the resources to match the many new concepts required by the Royal Conservatory of Music 2016 Theory Syllabus. These Supplemental Workbooks are used WITH the Ultimate Music Theory Workbooks. Theory Syllabi are usually changed every 8 years. So, think about the Ultimate Music Theory Workbooks as your "Theory Island". As the different theory syllabi out there change, we will bridge the gap in your teaching with the Supplemental Workbooks that you can add to your teaching. Webinar Questions: #2 - My students are in Intermediate, so can they just start in the Level 6 Supplemental Workbook? Answer: Since the RCM introduced harmony, history and composition beginning with the new Prep Level Piano/Theory co-requirements, students will need to build the knowledge in these subjects beginning with the Prep Level Supplemental Workbook. Each of the new harmony, history and composition elements is built upon throughout the Supplemental Workbooks. Therefore, we recommend that students start with the Prep Level Supplemental Workbook, completing each Workbook in turn to build their new foundation in harmony, history and composition. Webinar Questions: #3 - How do I convince my Music Families to Spend More Money? Answer: We hear you! Convincing parents that their children will need more music books can be hard. But no matter whether your child is in piano or hockey or basketball or swimming, there comes a time when new "equipment" is required. While "theory is theory", as these Music Schools develop and grow, they change their Practical and Theory Syllabi to meet the growing knowledge that is now available. This truly can be a great thing! Personally, I look at what the "norm" was when I was a student (when dinosaurs roamed the earth) and I look at what I am going to be teaching my Granddaughter in a few years...and I am THRILLED with the improvements. Yes, it costs money. But how many of our students still use an original iPad, iPhone or MacBook? As the new technology is developed, we simply "budget it" and upgrade! This is what it is like with Theory and the new Requirements. It is time for an upgrade. So, if you are following the upgraded RCM Theory Syllabus, you will need to "upgrade" your teaching and learning material. It simply is just part of teaching and learning! If students want to stay current with the latest "theory technology", they will need to upgrade. 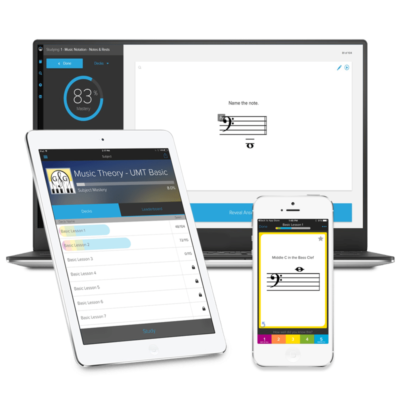 Webinar Questions: #4 - Where can I get the Ultimate Music Theory App? Answer: You can get the Ultimate Music Theory Flashcards App to use will ALL levels of the Ultimate Music Theory Workbooks as they match each workbook level. Watch the video details here. Yes they do include six subjects and sync to all your devices. Have questions you would like us to answer on an upcoming webinar? Simply CONTACT US and we'll be happy to answer them for you. 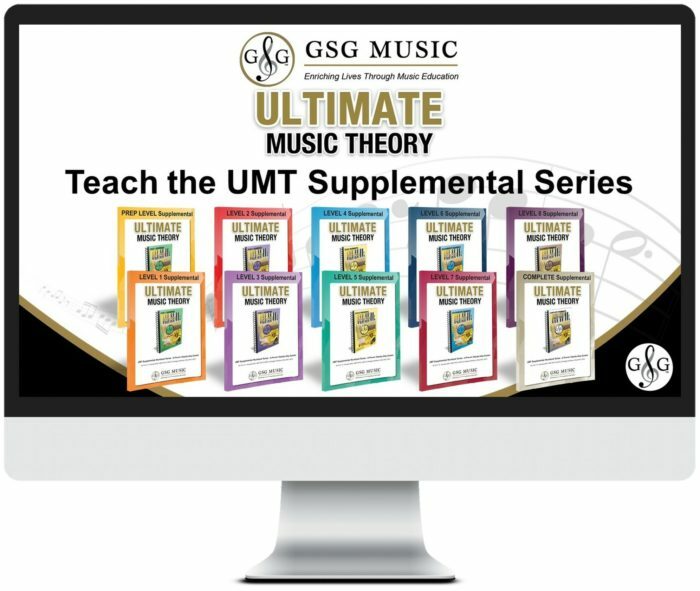 See you on the next GSG MUSIC webinar - Ultimate Music Theory ROCKS!